We have a great selection of metal finishes and lenses for our lighting fixtures. Great pride and care go into every detail of our lighting products. 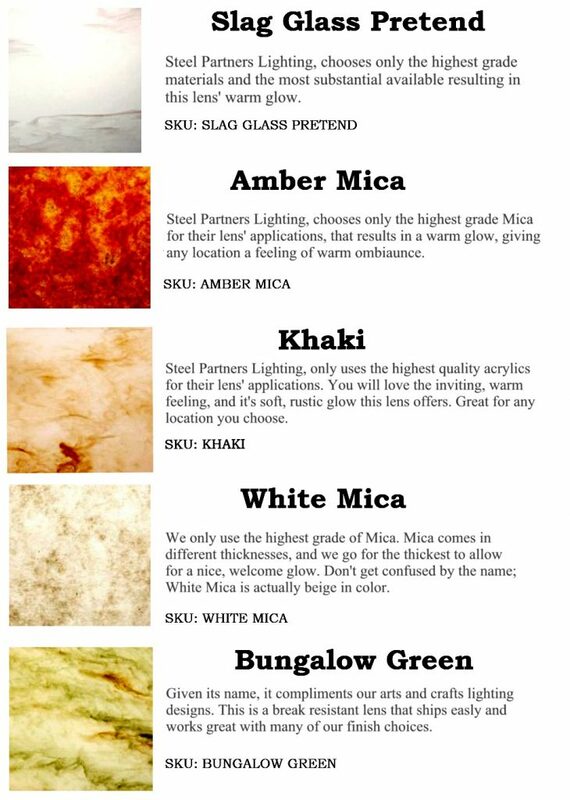 These are the various finishes and lenses you can select when purchasing your light fixtures. Please note not all finishes and lenses may be available for every light fixture and may not be listed on product page. 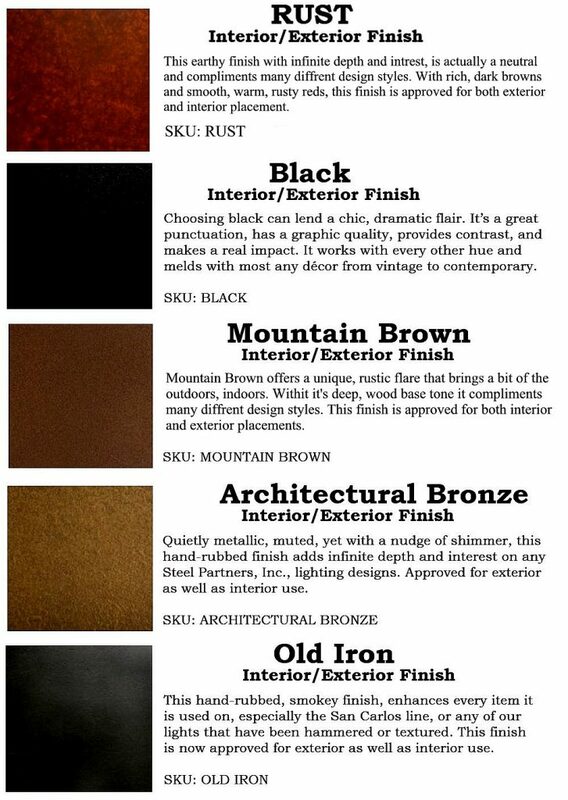 Let us know if we may assist with any questions regarding our finishes and lenses. Email us or call 1-888-588-3211 or (360) 748-9406 for variable pricing.